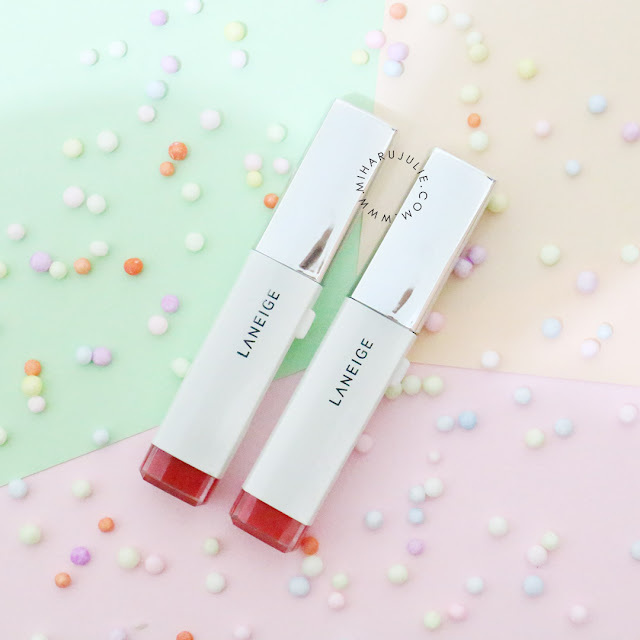 Where to buy Laneige products in Indonesian? Retaining the shape of its predecessor, the second-generation Two Tone Lip Bar consists of four vibrant pop colours – Laneige Two Tone Lip Bar Juicy Pop, Laneige Two Tone Lip Bar Maxi Red, Laneige Two Tone Lip Bar Orange Blurring, and Laneige Two Tone Lip Bar Laneige Two Tone Lip Bar. Of which, 3 out of 4 of them were used by Song Hye-Kyo in the drama. First things first – the packaging. The design is simple, with minimal colours. 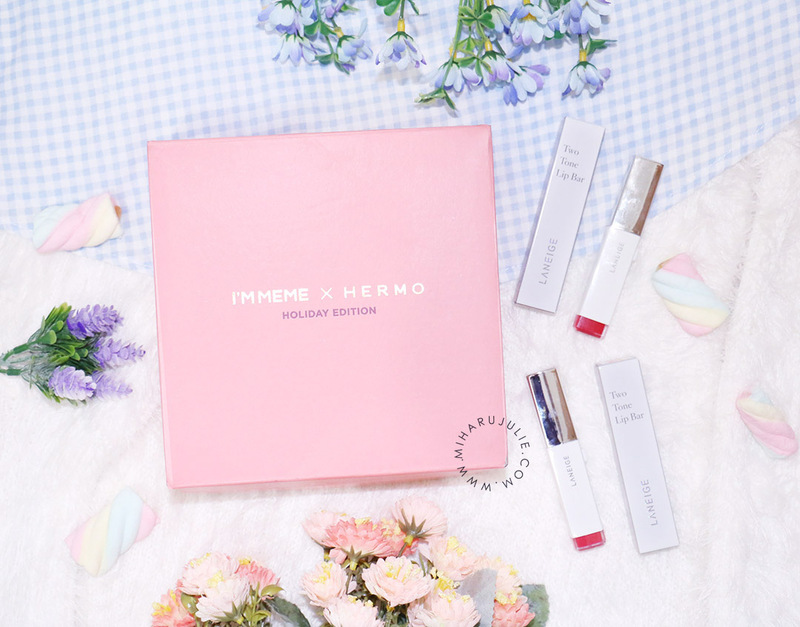 The box is silver, and the lipstick itself is a shiny silver/white combo, with the colour peeping out the bottom. 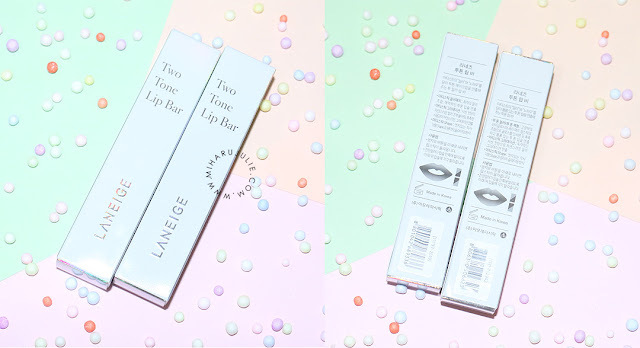 The product is pushed from the side rather than twisted, like many lipsticks. You push down in order to release more of it. 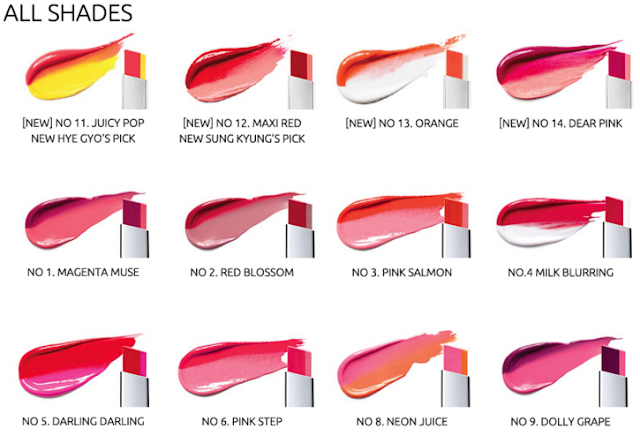 I’ve always felt that the technology of this lipstick is superb. With a combination of high gloss and semi-matte texture, one swipe with some light blending is all you need to achieve perfect gradient lips. Featuring an upgraded pure pigment technology (marrying Aqua Color and Glass Polymer), the darker main shade of each lipstick seeks to give a more vivid colour payoff while the sub colour works to a soft, subtle tint on the outer side of the lips. The texture of the lipstick is also very slightly softer than your usual lipstick – perhaps due to the level of moisture (which therefore made it slightly softer), as well as the rectangular shape which is thinner than the usual circular bullet (which gives it more bulk and therefore more strength and not so prone to breakage). Even though I didn't get the gradient lip color as I expected the Laneige Two Tone Lip Bar to be, I kinda like how this lip color looks on me. 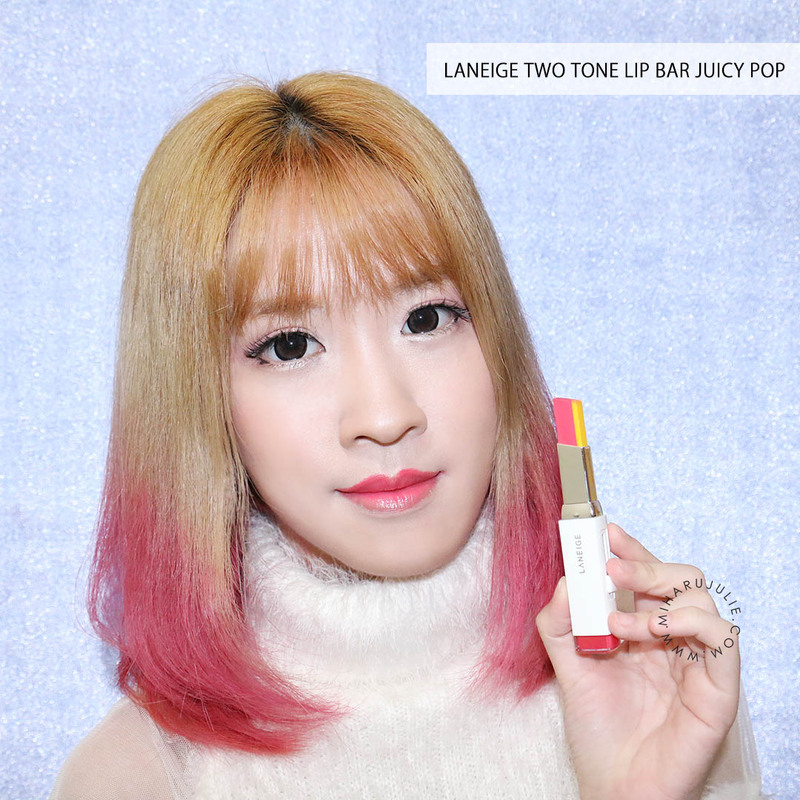 Laneige Two Tone Lip Bar are pretty pigmented and can be built up upon layering. They have decent staying power but require frequent touch ups, especially after you eat and drink. I find the formula more moisturising than the old range though which is a huge plus point! 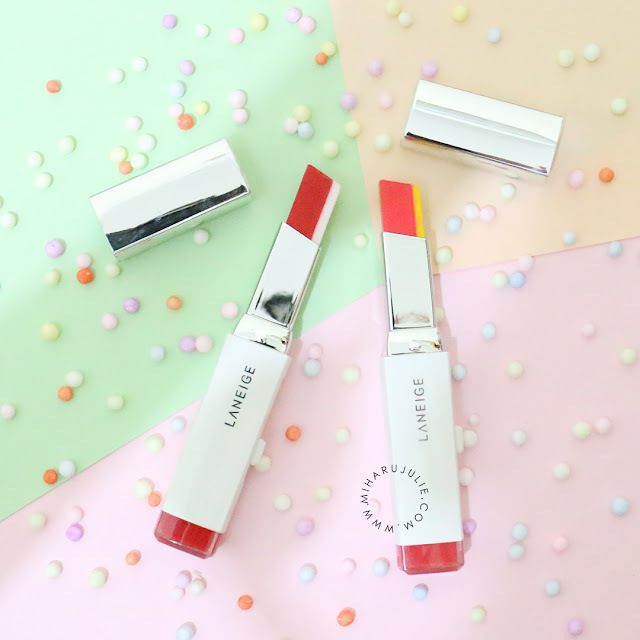 I’m mostly enamoured with the concept of this product – two lipstick colours in one, and in a rectangular angled stick that makes for more precise application. 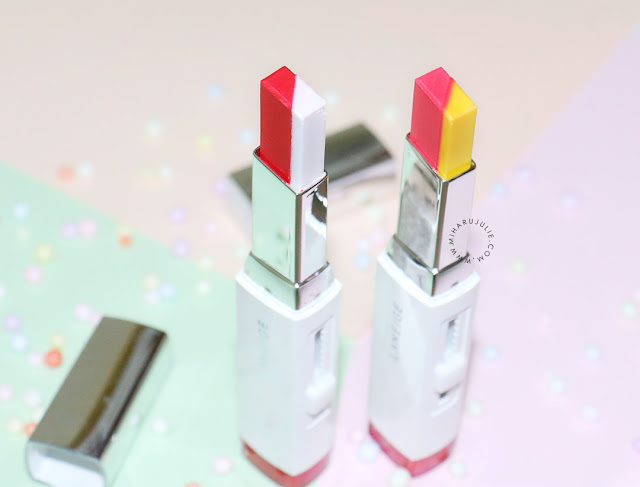 However, I realise that the diagonal cross-cut of the lipstick can make application somewhat uneven (one side has more of the lighter shade, while the other side has more of the darker shade). This means you can’t just touch up simply on the go -you need a mirror to make sure the gradient is done properly. 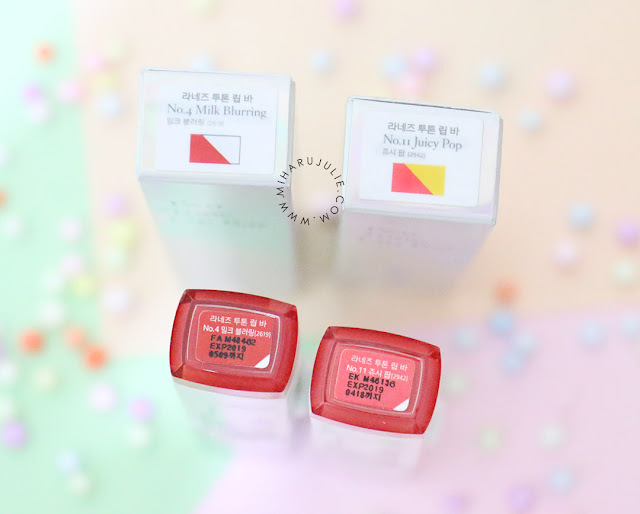 Overall, I have quite dry lips at the moment and this, unlike a lot of my lip tints and lipsticks, doesn’t dry them out at all. I often get the urge to drink a lot of water when wearing certain tints! This lipstick is hydrating, and the end effect is one of a slightly shiny gloss. It doesn’t stain the lips as much as others I’ve tried, but it doesn’t rub off easily (I drank tea, gabbed away to a friend, dabbed it with tissue, and after several hours it wasn’t shiny any longer, but it was still there, looking pretty good). My lips feel really good, and they don’t look over the top. 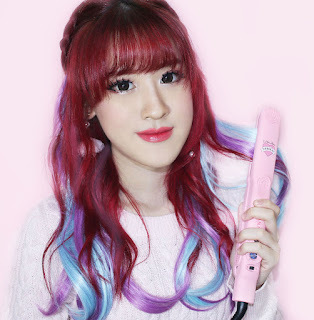 It gives a nice, fresh look, which is perfect for a hot summer day. 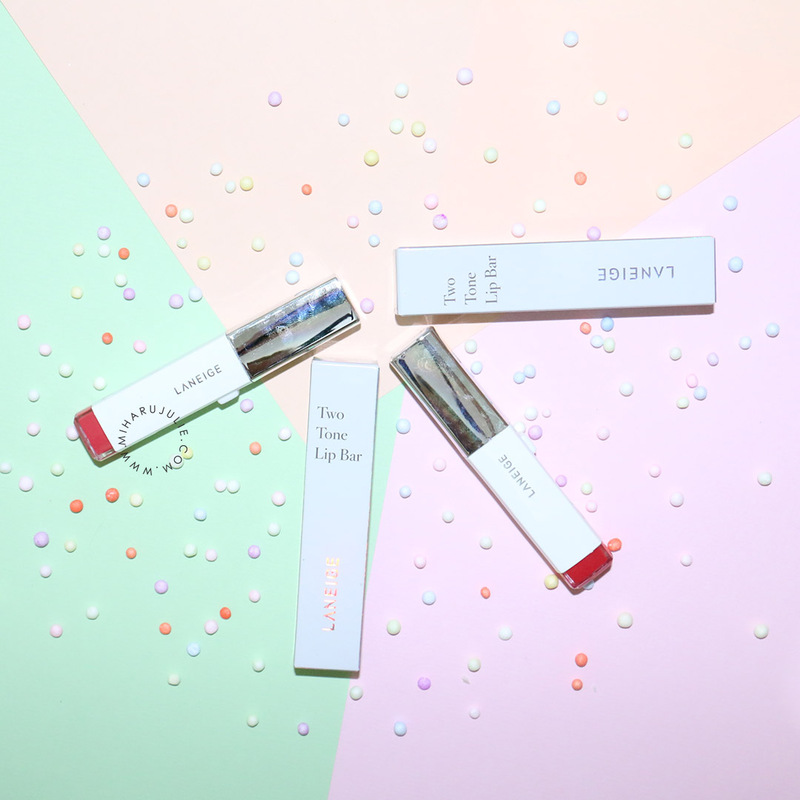 Make sure that the lighter shade is always on the outer edges of your lips (so that you get the just bitten darker shades on the insides of the lips). This means you’ll have to flip it when applying to the left and right halves of your upper lips. Also have lipsticks like these, from Catrice. I love the ombre effect and it really pushes up my lip volume! Milk blurring is so pretty.